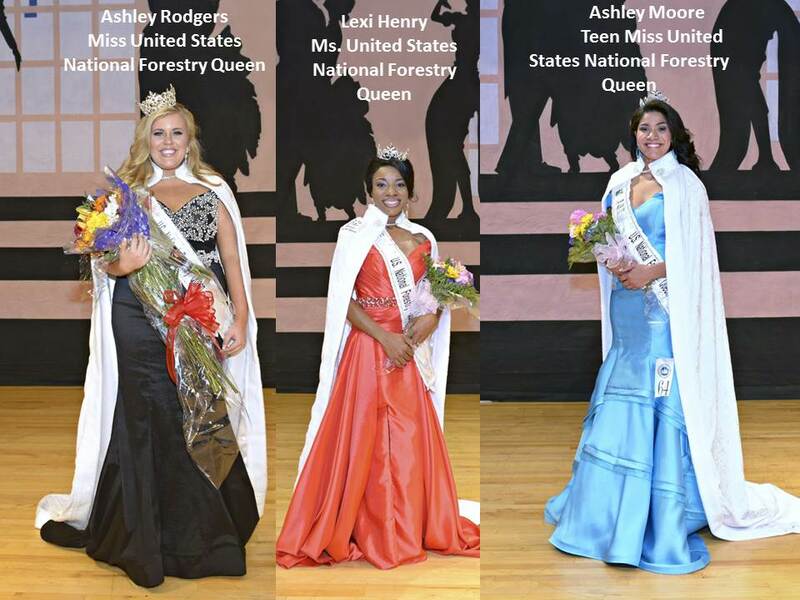 GFPEA SINCE 1940 IS THE PROUD SPONSOR OF THE OFFICIAL MISS UNITED STATES NATIONAL FORESTRY PAGEANT. WE HOPE YOU ENJOY OUR WEBSITE AND WILL VISIT AGAIN SOON! PROMOTING AND PROTECTING THE FORESTRY INDUSTRY! WE ARE SEEKING DELEGATES FOR THE 2017 PAGEANT TO BE HELD ON LABOR DAY WEEKEND 2017. JOIN US IN PROMOTING THE FORESTRY INDUSTRY AND REPRESENT YOUR STATE! Smokey Bear says, Only You Can Prevent Wildfires. The Forestry Queens are proud to promote and spread Smokey Bear's message. 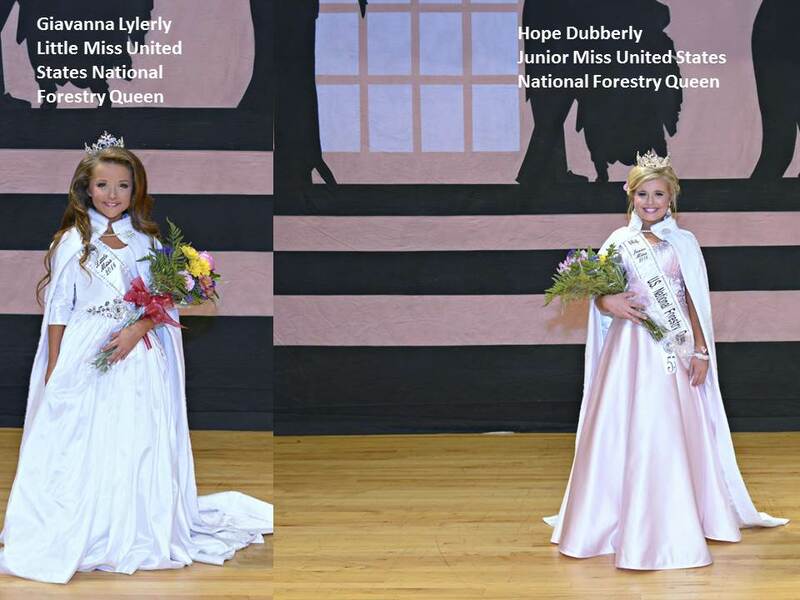 The Forestry Queens represent the Forestry Industry at events such Association Meetings, Civic Clubs, Festivals, Schools, Community Events, State Events, National Events, and many more events across our states. They speak and educate our Nation on Fire Prevention at these events. The Forestry Queens are proud to join forces with Smokey Bear in helping to spread his message about fire prevention. 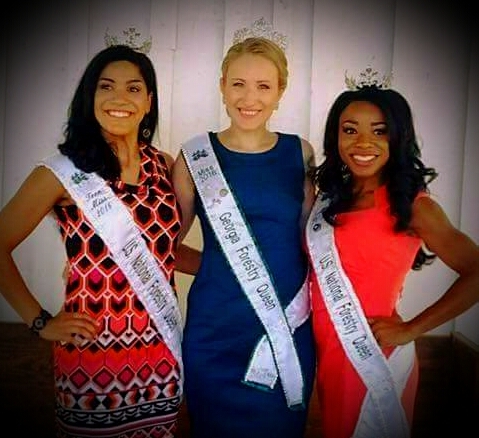 The Forestry Queens travel to many events throughout the year where they speak and educate our Nation on the Importance of Fire Prevention. 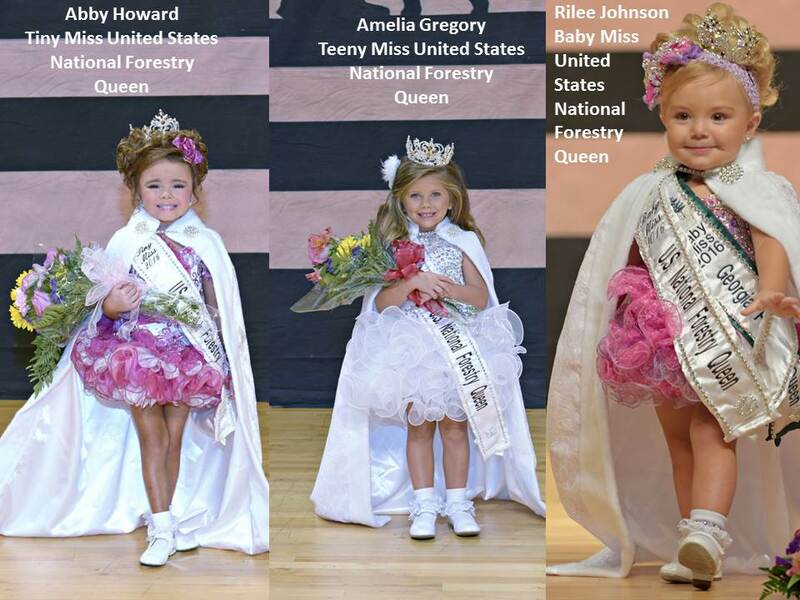 Please note, we have been using the Forestry Pageant name in business since 1940, the Forestry Pageant® since 1940, and the Miss Turpentine Pageant since 1940. The Forestry Pageant name has been clearly stated as a trademark on all the Forestry Pageant materials for 78 years and websites for the last thirteen years. We do not give permission for anyone to use Forestry in relation to Pageant with Forestry Pageant or any similarity to Forestry Pageant , nor do we give anyone permission to use our graphics or our text. The Forestry Pageant has been promoting the Forestry Industry since 1940. We do not give anyone permission to use the Miss Turpentine Pageant. The Miss Turpentine Pageant was started in 1940. Miss Forestry Pageant, Miss Georgia Forestry Pageant, and Miss United States National Forestry Pageant are all registered with the United States Trademark.